Riksgränsen is the most exotic of our resorts. 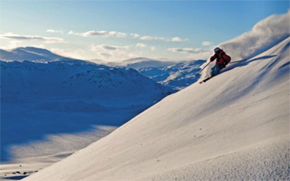 Located 200 km above the Arctic Circle, right at the border with Norway, it is the world’s northernmost ski resort. The first snowfall can arrive as early as in September/October and the season lasts until the very end of June. Early in the season the sun never makes it above the horizon, but when the skies are clear you can experience amazing displays of Northern Light in the sky. 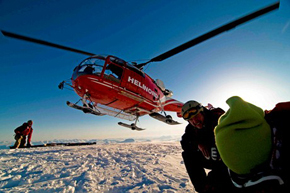 In June the sun never sets and Riksgränsen offers skiing under the midnight sun. In Riksgränsen there is a whole lot of wild. You will experience pristine wilderness, picturesque pistes, guided off-piste tours, heli-skiing and 60 established summits over 1200 metres. In the afternoon take off your skis and take part of the legendary après-ski nightlife. Or enjoy a glass of ‘glögg’ in the outdoor hot tubs at the world’s northernmost spa. Riksgränsen was established in 1902, when the railroad between the mines in Kiruna and the ice-free port in Narvik was built. In 1928 the first hotel opened. Today Riksgränsen is the home of some 40 permanent residents, and is known for the people, permanent residents as well as those returning to work in Riksgränsen year after year, and for the unique atmosphere. Riksgränsen is like no other resort. 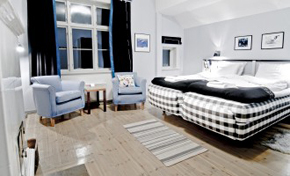 Accommodation: STF Hostel Riksgränsen, self-service apartments, Hotel Riksgränsen, and the exclusive Meteorologen Ski Lodge – all within walking distance of the slopes. You can read more about Riksgränsen here. You find driving instructions here. The distance from Stockholm is 1368 km. You can fly from Oslo to Harstad and Narvik, Evenes Airport with Norwegian. Evenes is situated only 86 km from Riksgränsen. SAS operates the route Copenhagen – Kiruna February 6 - April 13, 2014 on Thursdays and Sundays. More information here. Lapland Resorts will offer daily transfer Björkliden/Riksgränsen – Kiruna Airport. The transfer bus will run daily starting December 20, 2012 until May 26, 2013. Read more here. For a long time the railroad used to transport iron ore was the only way to get to Riksgränsen, and it still the classic way to arrive. SJ runs the stretch between Stockholm and Riksgränsen, which takes approximately 18 hours. From the Riksgränsen train station, it is only a couple of hundred metres to Hotell Riksgränsen. Riksgränsen offers vast areas of off-piste skiing. Riksgränsen arranges excursions to the Ice Hotel in Jukkasjärvi. After ski at Hotel Riksgränsen.